Parrots have been kept in captivity for generation as a fashionable home accessory. Recent generations have kept these feathered mimics for their intelligence and their companionship. The longevity of most species allows owners and birds to have a deeper more familial connection with one another. It is advised in many instances to have a written legal document in which you clearly state where you wish your avian companion to reside if something were to happen. There are so many wonderful avian rescues through out the United States that have parrots waiting for new homes. Adopted parrots can be a challenge at times but the reward of trust and companionship is frequently worth even the worst screaming fits from your new adoptee. Chicago Exotics firmly supports the adoption of birds and a staff member can provide you with a list of different rescues that can match you with your perfect companion. If you want to raise a parrot from a young age there are numerous breeders for a variety of different species. Chicago Exotics has worked with many reputable breeders and the staff is always happy to help you get in contact with one. African Grey Parrots (Psittacus spp. ), Amazon Parrots (Amazona spp. ), Pionus Parrots (Pionus spp. ), and Eclectus Parrots (Eclectus roratus) are all commonly kept psittacines that come from a variety places around the world including Africa, South America, and Australia respectively. All four species come from rather lush tropical areas where they fly great distances to roost, forage, and interact with other flock members. Due to their natural behavior, they are more prone to obesity if not exercised enough in captivity. These parrots are highly sociable and intelligent, often communicating great distances with vocalizations such as calls and songs. Parrots also communicate through body language using signals and various display behaviors. Very often, the behaviors that owners see as problematic stem from a very primitive instinct and have a specific meaning to that parrot. It is advisable to research your parrots natural behaviors prior to acquisition or even as problems arise. It is never to late correct a behavior. There are various references listed in the “Suggested Reading and Reference” section to help you as well. The plumage varies between the species with colors from grey to bright green found in the feather color spectrum depending on the parrot species and in some cases such as the Eclectus, the gender. All parrots have hooked maxillas (top of the beak) that fit over the hooked mandibles (lower part of beak) that house a thick muscular tongue. All parrots have zygodactyls prehensile toes that allow them to hang upside down and hang sideways. The cage should at least be large enough for the wings to be fully extended without touching the sides of the cage. The larger the cage, the better it is for avian companions. All birds require “play time” outside of their cage where they can interact with their perceived flock (you!). It may be beneficial to leave a radio, TV, or video on for your parrot to listen to. This stimulation will help prevent boredom and any sense of flock abandonment your bird may feel while you are away. Cages should have vertical bars preferably made from stainless steel. Some home made cages are made of hardware cloth which should be avoided due to the possibility of zinc and lead exposure. A grated bottom will prevent the parrot from contacting its feces and old food. An excellent substrate to use under the grate is newspaper or paper towel. Both are inexpensive and easily cleaned while allowing you to visually access the parrots feces. Perches should be made of various materials and available in a variety of sizes appropriate for your parrot. Perches that are too large will prevent proper foot positioning that will interfere with the parrots ability to “lock” their toes for secure perching. Perches that are too small however, place stress on the feet and can result in pressure sores. Harwood and rope perches are wonderful additions to any cage. Soft wood and cement perches should be avoided as soft woods can have sap or resin leftover and cement perches frequently leave pressure sores and abrasions on feet. If cement or sandpaper perches are used, always have other perches for the parrot to switch to. Toys are a must for parrots. If your parrot does not play with the toys you have provided you will have to reassess and replace the toys. Some birds prefer wood, others plastic, some only shredable toys. Be patient and take care to note what toy your parrot responds to. Play is an important part of a companion parrots life for stimulation. Rotation of your toy stock is recommended every month or so. Take care to remove broken pieces from the cage. Many researchers believe that UVB (ultra violet radiation B) is required for indoor birds to correctly synthesize vitamin D3 and to promote proper preening behavior. These lights are ideal especially for egg laying hens (female birds) and African Grey Parrots in general are prone to hypocalcaemia (calcium deficiency) and would benefit from an UVB light. The light must remain on for at least 6 hours a day. The typical light period for these parrots is 10 hours of light to 14 hours of darkness. The darkness however may be increased in hens that are overly reproductive. The temperature in the room should be comfortable for a person to wear a t-shirt as a rule of thumb. It is important to prevent any drafts from reaching your parrot as this can chill your bird and lead to potential health problems. It is advisable for all parrots to have their cages covered at night. This helps the bird feel secure as well as keeps the cage dark for maximum sleep. It is important for your parrot’s mental health and physical well being to bathe daily. This preening behavior will keep their plumage in good condition allowing for better insulation and healthy skin. Bathing can be done in a shallow dish, a sink, shower, or with a gentle mister always using warm water. Most birds love to bath on their own while others prefer to be sprayed gently. If your bird does not enjoy bathing in one style, try another. Remember, your bird should be completely dry before they are put to bed. Ideally, all companion parrots should be maintained on a formulated pelleted diet to maintain good health. In the pet stores however, seed is the staple for most parrot diets. Conversion from an all or mostly seed diet to a pelleted diet can be difficult. Patience and determination with a little bit of stubbornness will go a long way during the conversion process. Your parrot should never lose more than 10% of its body weight during conversion. If you see your bird is loosing too much weight, return the bird to the previous diet and revise your conversion method. A Chicago Exotics staff member can give you a conversion handout and moral support as well as technical tips. A consumption of at least 50% of the pelleted diet during feedings is considered a winning situation. There are a variety of different pelleted diets available. Currently, Chicago Exotics recommends and sells Harrison ’s and has samples of both Harrison’s and Zupreem parrot diets. Supplementation with dark leafy greens and other vegetables is a welcome addition to any diet for most parrots. Many parrots view fresh produce as a stimulating play thing as well. Fruits should be limited due to the high sugar content which can cause obesity, runny stool, and mouth infections. Treats such as honey sticks should be avoided but healthy treats such as Lafeber Nutriberries and AviCakes are wonderful for bonding and training. Vitamin and mineral supplements should not be put into the water. The parrot should have fresh, clean water available at all times. Vitamin and mineral supplements may be used under the supervision of a veterinarian as these can lead to toxicity (over supplementation) or deficiency. Generally, if your parrot is consuming at least 50% of pelleted diet additional vitamin and mineral supplementation is not required or advisable. Table scraps can be fed to your parrot during meals. Parrots enjoy eating socially and the sharing of food with their flock. Never feed your bird chocolate, avocado, raisins/grapes (especially if your bird feather picks), or caffeine. Feeding an inappropriate diet can lead to an over weight parrot. 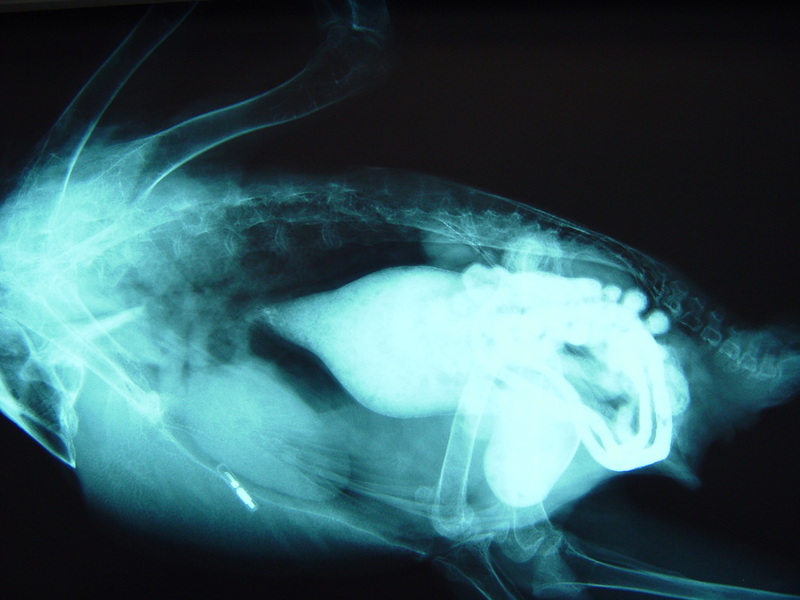 Hypocalcaemia – A common problem in overly reproductive hens and African Grey Parrots. Feeding foods higher in calcium helps but may not be enough. Look for signs of weakness, swollen abdomen from possible egg retention, shaking, falling from perch, and seizure. This can led to a serious condition called egg retention where the eggs are not released from the body. Call Chicago Exotics or your veterinarian immediately if you notice these symptoms. Hepatic Lipidosis – This disease is often called, “liver disease” and can result in over grown beaks and nails in parrots. Typically brought on by obesity and high fat diets such as seed only diets. See Amazon pictured above this section. Conversion to pellets will be required as well as a visit to Chicago Exotics or your veterinarian as this can be life threatening. PDD – Proventricular Dilatation Disease – This is a fatal disease commonly associated with weight loss despite a ravenous appetite, depression, chronic regurgitation, undigested food in feces, crop impaction and abdominal distension. This disease can be passed from bird to bird and is ultimately fatal. Call your veterinarian or Chicago Exotics immediately if these symptoms are seen.